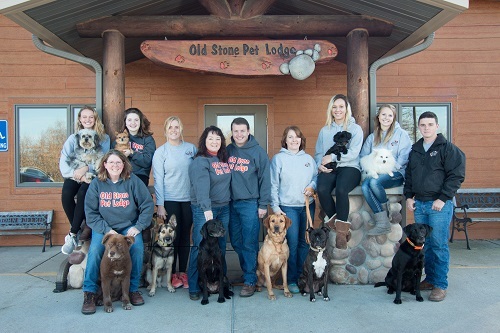 Old Stone Pet Lodge is owned and operated by Ron and Teri Paltz. Ron and Teri have had a long-term goal to open and operate a kennel. With the uniqueness of the kennel, their love of animals, Ron’s dog training experience, Ron and Teri’s years of experience in customer service, as well as their pure dedication and desire to succeed; Ron and Teri are passionately committed to making their “guests”, and their owners, experience at Old Stone Pet Lodge a very pleasurable one. We are so thankful to our customers for allowing us to take care of their furry family members.